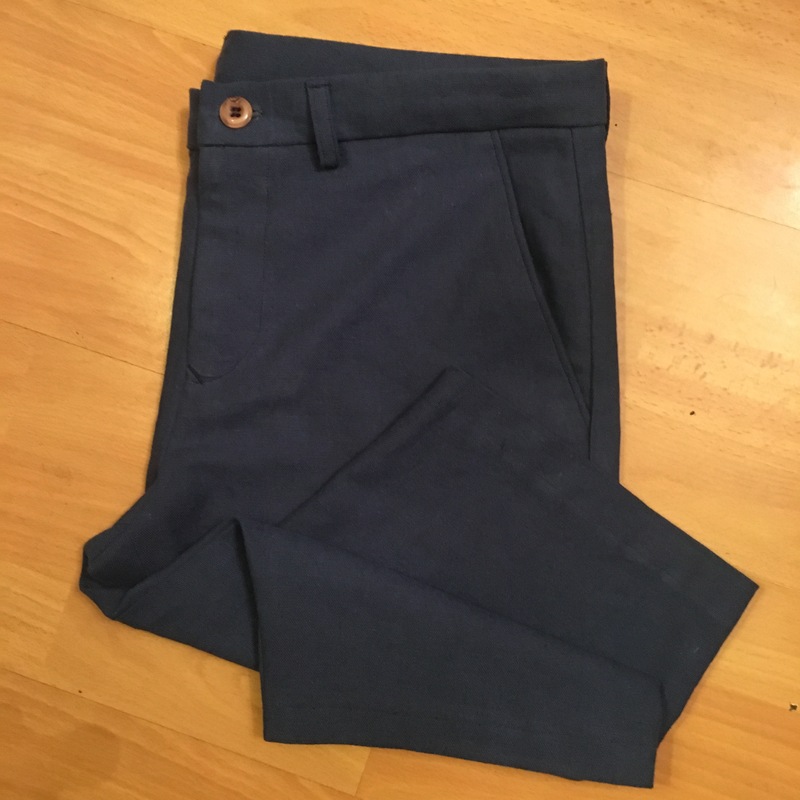 It’s my second attempt at the Stretch-Chino pattern from the book ‘Men’s Clothing For All Seasons’. If you haven’t already, you can read about my first attempt HERE. If you have, welcome back. Last time I went off piste and stopped following the instructions. This time I promised to slow down, translate & read the full instructions. Following the construction order too. I have to admit, it was altogether a much calmer sew. As incredible a gizmo as Google Translate is, it is not, however, foolproof. A few random words would spring up and some entire sentences were indecipherable to me, both in Japanese and in English form. But I got the gist of the important bits and pencilled them in. Then the back darts, carefully making sure they finish in the centre of the welt placement. Pin welt piece right side together with back leg. Position pocket lining piece (1 of 4) on inside. Turn the welt through to the inside, open it up and give a good press. Folding down the bottom welt piece. (After stitching the triangles..!) 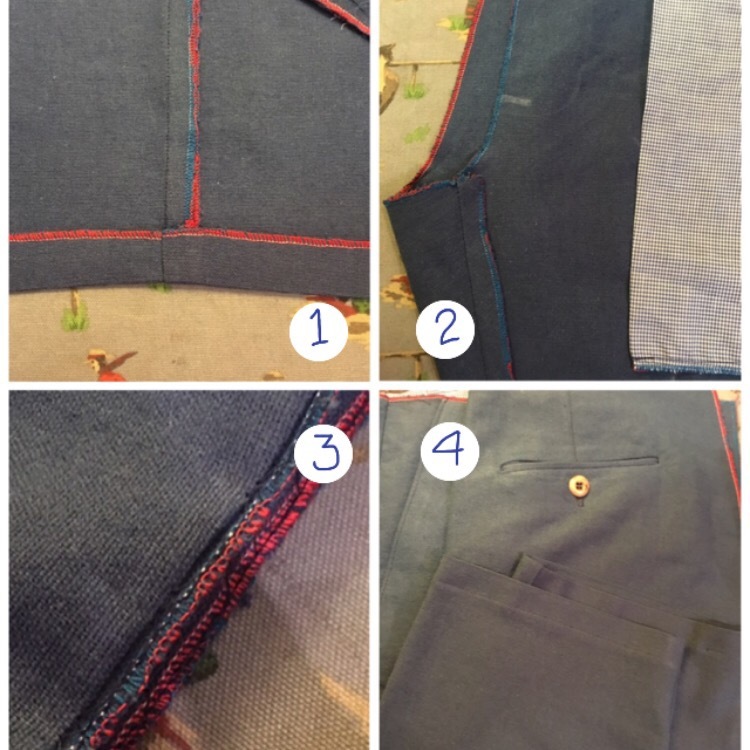 Stitch the bottom of the welt to the pocket lining & make the buttonhole. 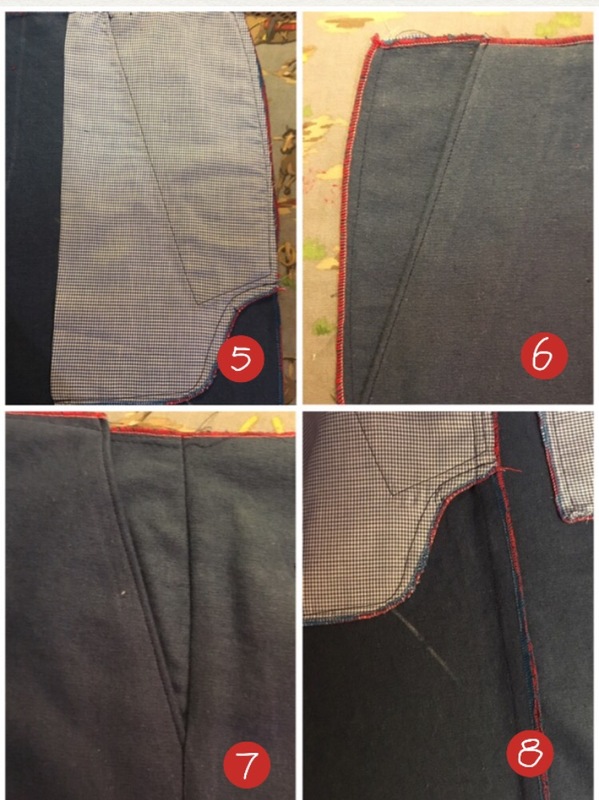 Sew the outer pocket lining, first to the welt facing piece, then all round the edge. 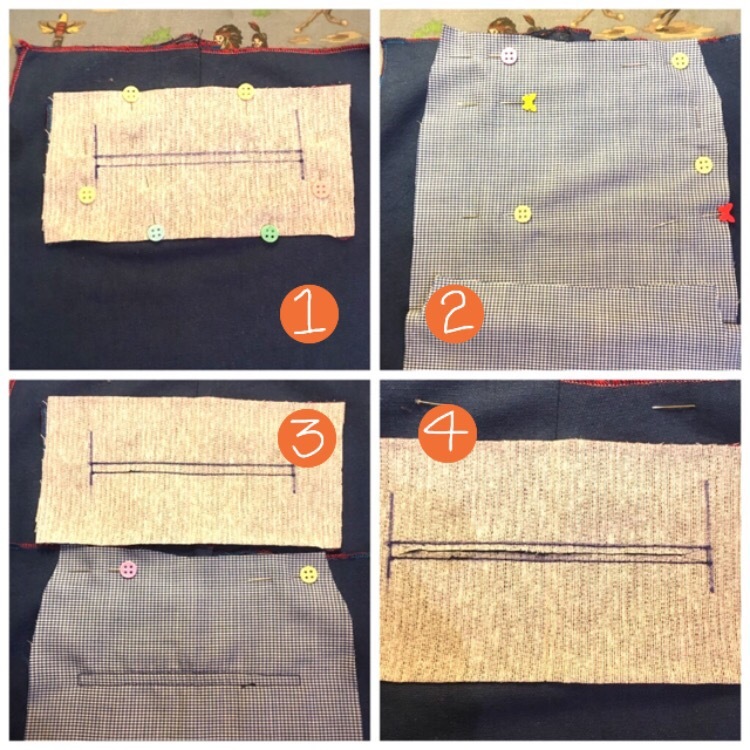 Sew larger facing piece to pocketing & baste round the edges. Pin pocketing to wrong side of trousers. Pin smaller facing piece to right side. 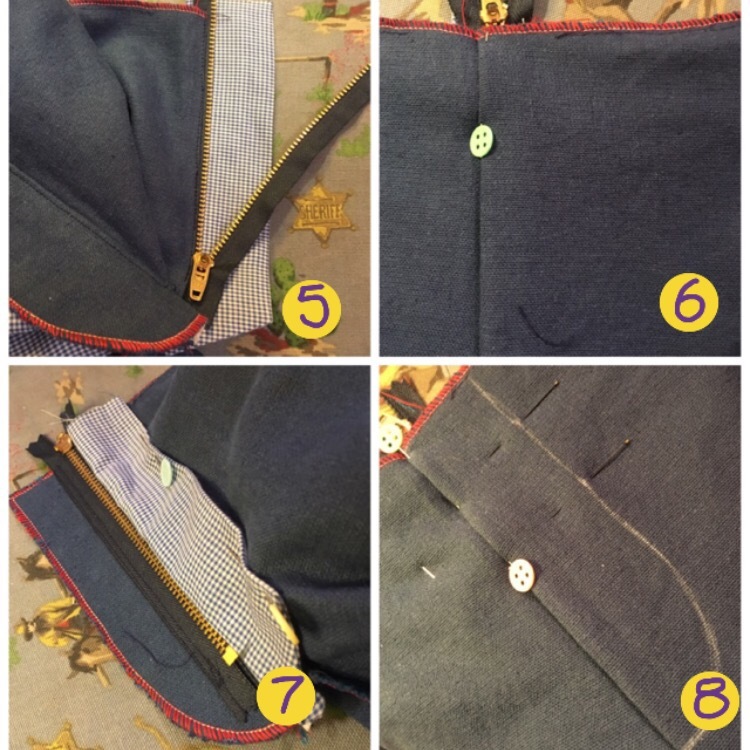 Sew & finish the pockets. My usual method goes; 4, 2, 1, 5, 3. Which somehow seems to emphasise the trickier stuff. This method suggests; 1, 4, 5, 2, 3. Which seemed to be a much more balanced order of construction. Focussing first on the fiddliest bit, slacking off, coasting in the middle before stepping it up at the end. It also had me doing most of the fly with one leg inside the other, which seemed a much easier way to handle the pieces. What do you think? 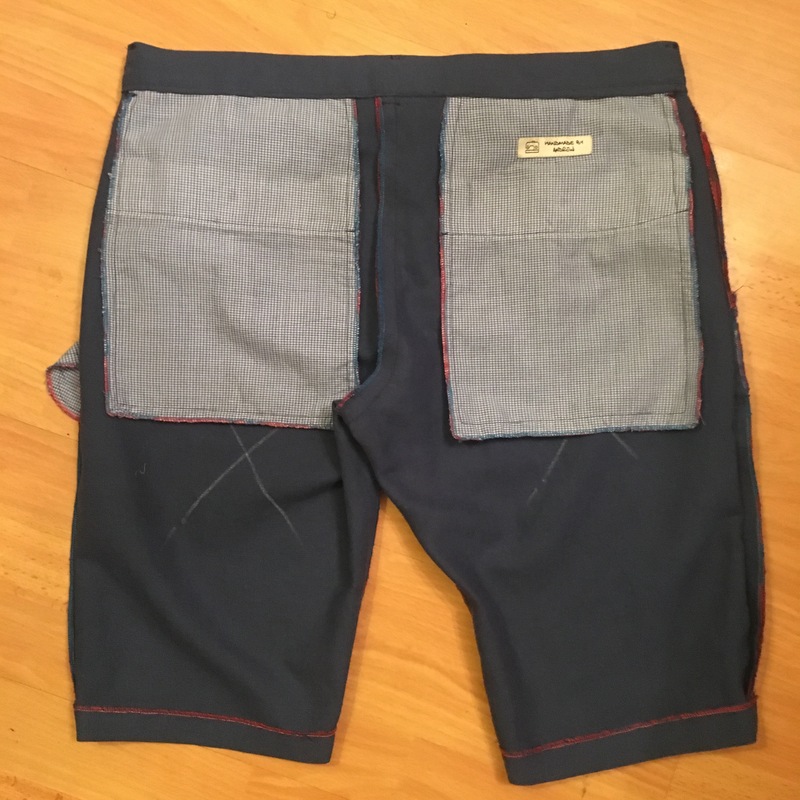 So the outseam is done. 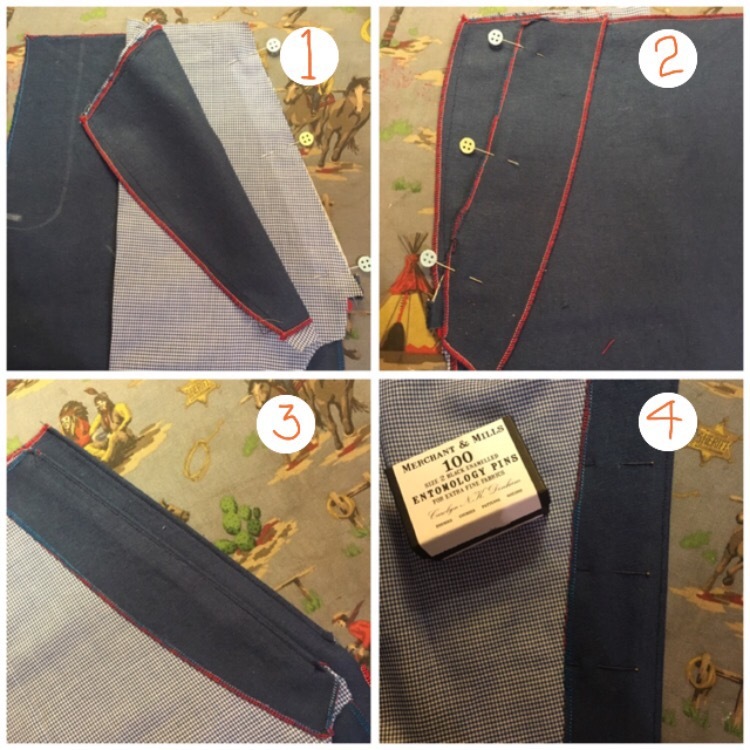 Unfold the hems and sew up the inseams. Press them to the back. It’s a brave or foolish sewer who blindhems their shorts before even trying them on. 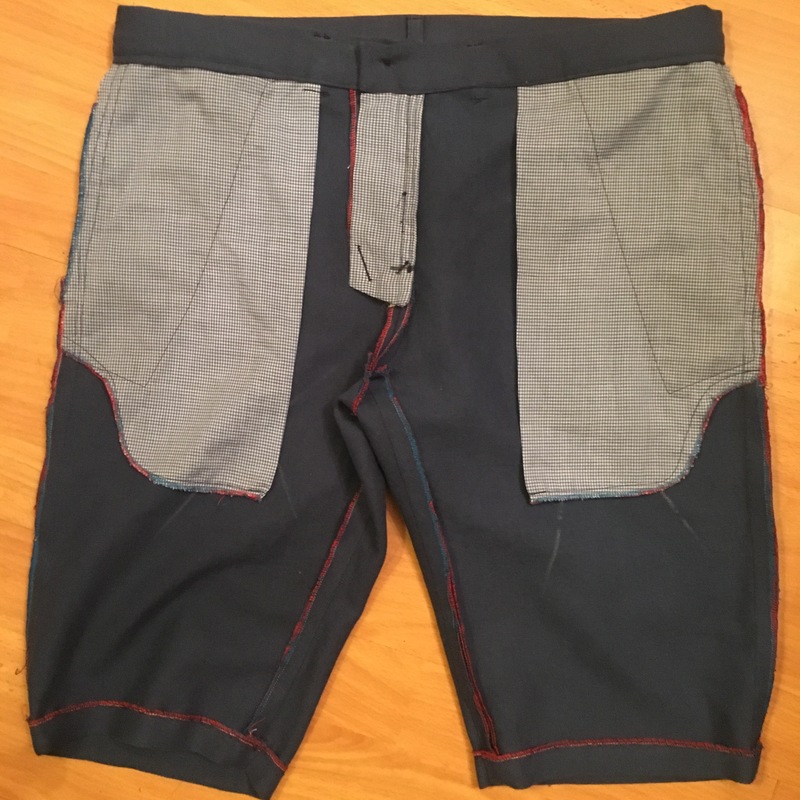 More blind-faith than blind hem, but that’s what the instructions say. Sew on the Left Fly Facing from the Zip Stop Mark. Pin up the ‘tail’. Press the Left Fly Facing back and understitch. Make the Fly Shield and attach the zip to the long side. Sew at the edge of the tape. Fold the right side Fly Allowance 1cm & press. Line up the teeth of zip with Fly Shield and edgestitch close to teeth. Close & pin fly fold. Behind, pin Fly Shield out of the way. Pin & sew zip tape to Left Fly Facing. Twice. Mark and topstitch the curve. A couple of bar-tacks and that’s the fly done. See, no so tricky after all. As I approached the end, I felt a calm sense of satisfaction wash over me. 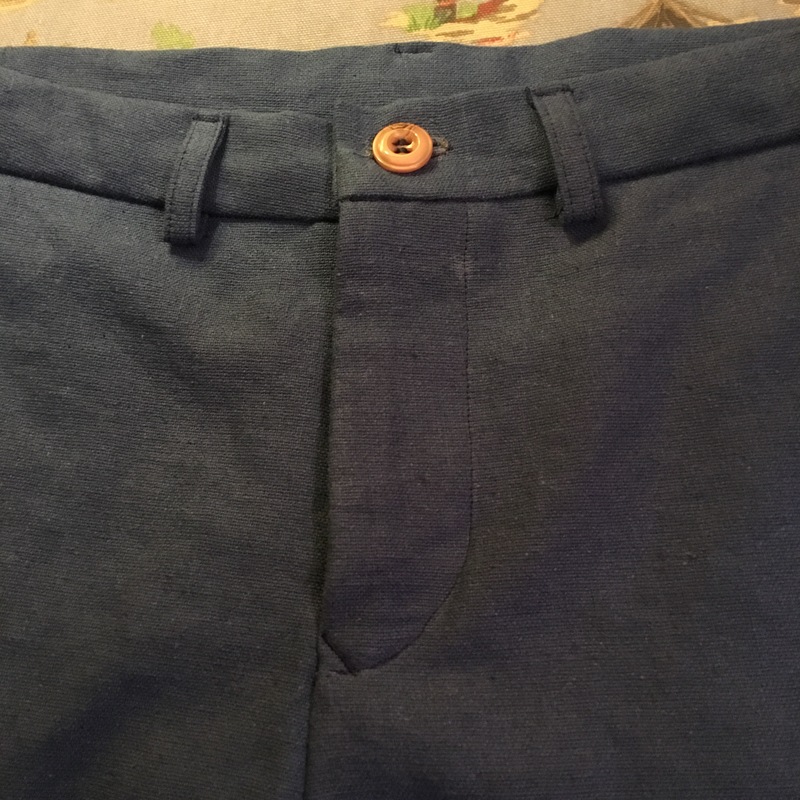 The straight lines and right angles of button loops and waistband calmed me for what is always, inevitably, a terrific struggle getting the front buttonhole in. That’s still to come. Make the beltloops. Fray-check both ends. Baste into position. 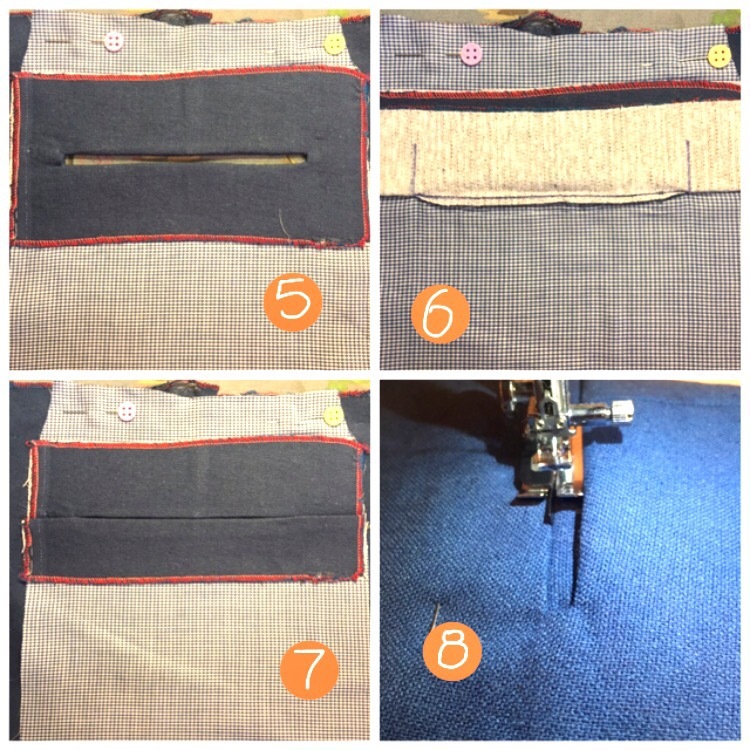 Press waistband in half then press up 1.3cm on inside. 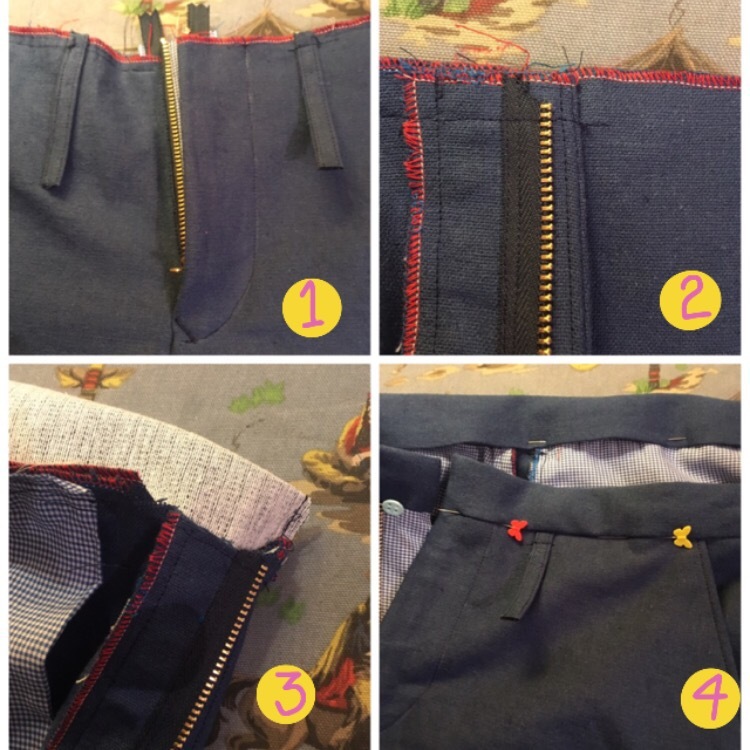 Pin outside to front of trousers and sew on the waistband (careful of the zip). Press the seams up. Turn the corners and stitch in line. Pin & sew in the ditch from the right side catching the folded hem underneath. I stitch my beltloops down onto the trousers next. Then I press them up, fold the ends over and edgestitch them to the top of the waistband. Mark & sew the button hole, fray check & open. Mark & sew the button. I’m really happy with the fit. I think I was right to go down a size. 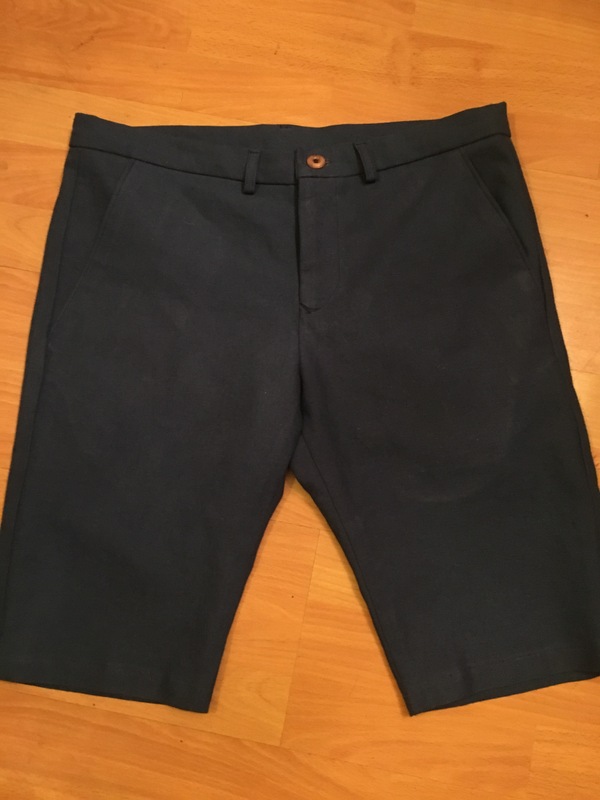 They are a slim fit on the thigh, so I expect the full length version will be slim legged too. 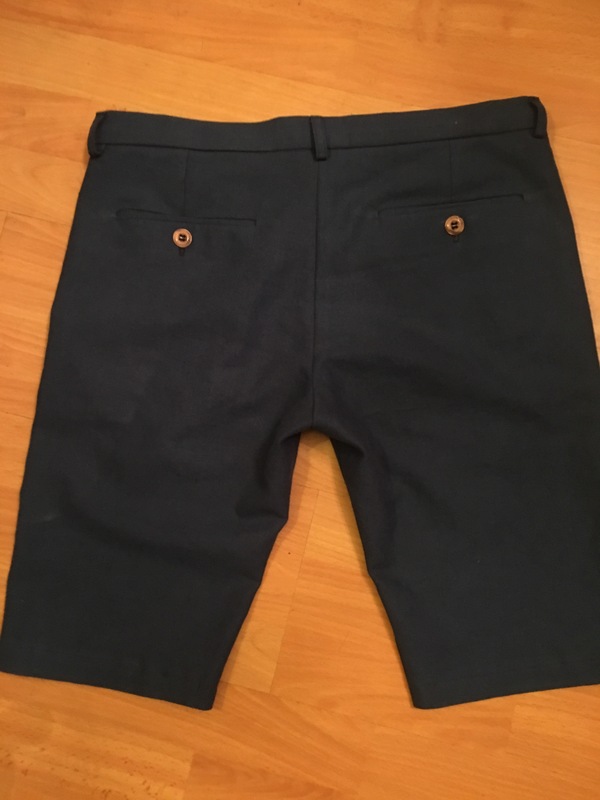 I’ve found my go-to shorts pattern. With two new pairs of shorts, summer can’t come quick enough for me. Translate as much as possible before starting. Follow the order of construction. Secure the triangle before folding down the top flap. 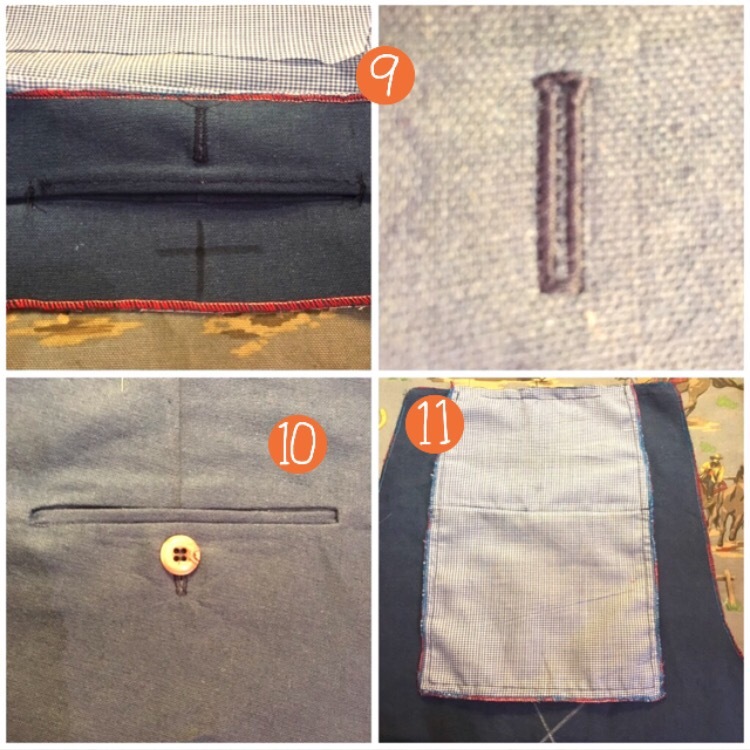 Sew the pocket facing down before the buttonhole. Do the interfacing first then overlock everthing. Investigate & fix the dodgy buttonhole. This whole blog post is one big note to self! 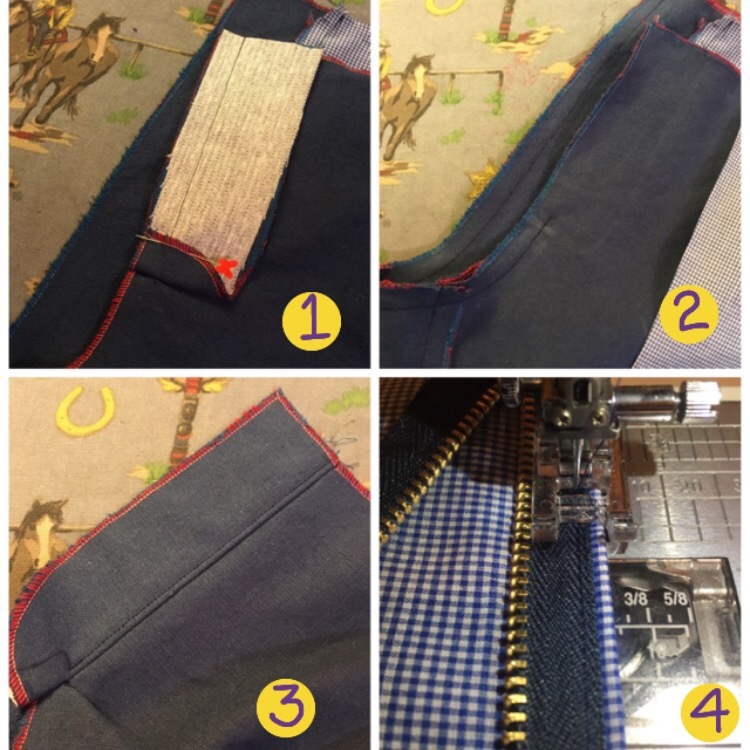 Awesome post sir…and your garment came out great! Thanks for documenting the fly insertion- I had not seen that method before. And kudos for slowing down and following directions, pacing yourself. That’s an excellent method of ‘re-sequencing the parts of the job so it ebbs and flows. Currently trying to translate from German to English and finding that hard enough so how you cope with Japanese is beyond me! You’re not alone with the button hole issue either. My machine struggles to cope and chews up fabric to the point I’m scared to do them for fear of ruining a garment. 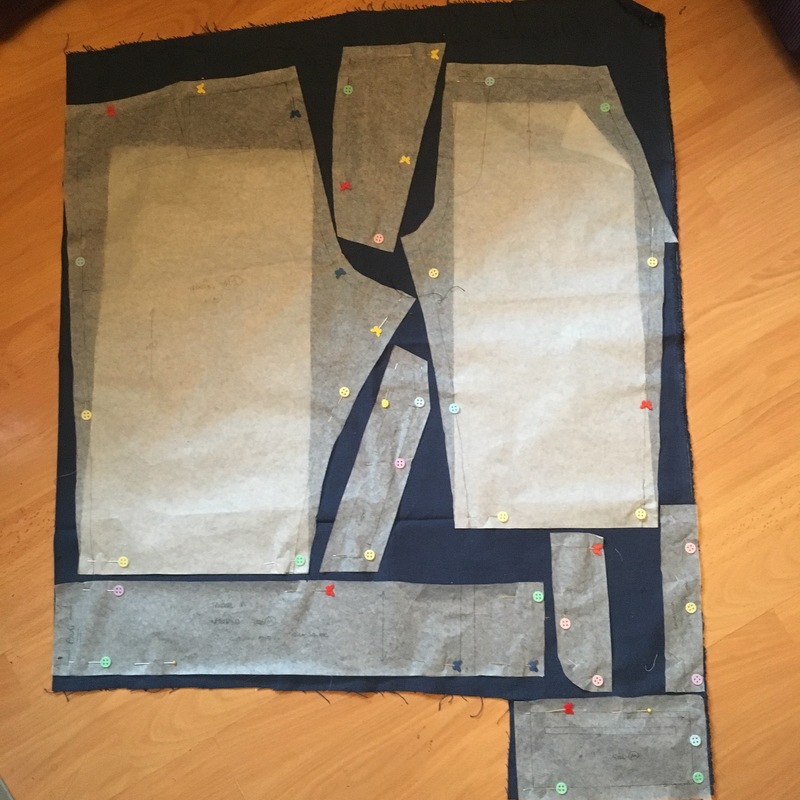 One solution is to make the buttonhole the other way round… as in have the bulk of the fabric facing in the opposite way to normal but that does them mean you can’t do a keyhole style as the rounded part would be at the wrong end. 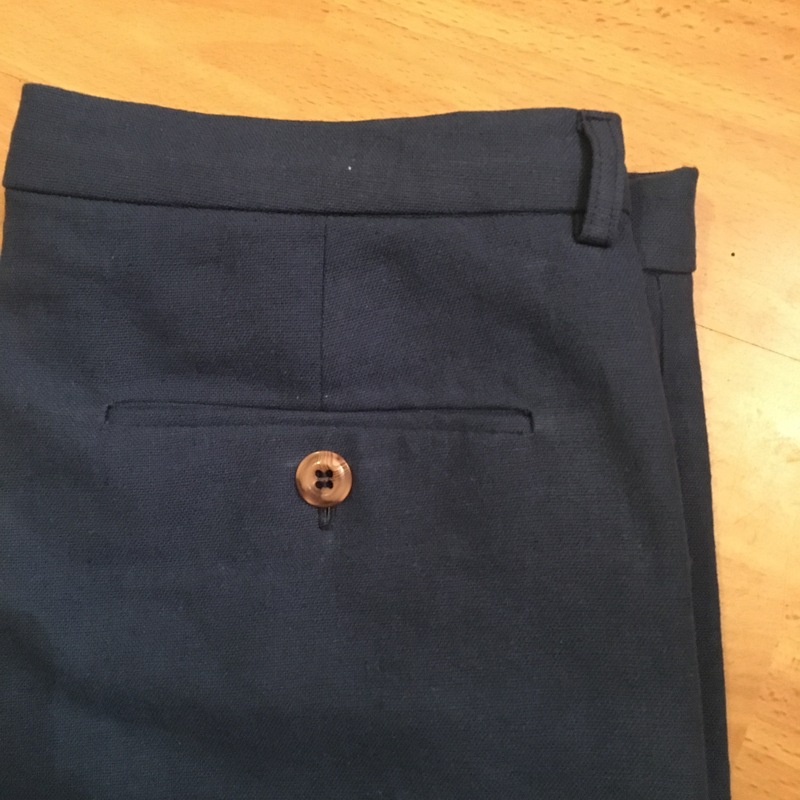 Thankfully, button and belt can cover up the angry holes I call buttonholes on the fronts of my trousers! And thank God for fraycheck! It is an issue though. I’m hoping for a more satisfactory solution than hand sewing.. Heads down! 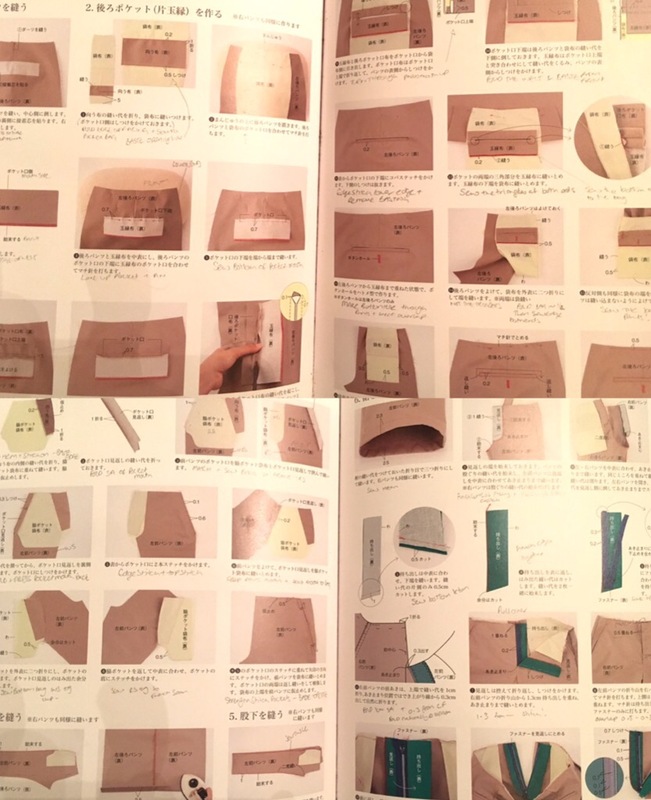 I’ve just ordered this book after seeing some of your makes. I hope I can create something half as good 😊 thanks for the in depth post. It will really help me.